F-16 Thunderbird #1 pulls in for a precision stop after an excellent demonstration. "The USAF Air Demonstration Squadron ("Thunderbirds") is the air demonstration squadron of the United States Air Force (USAF). 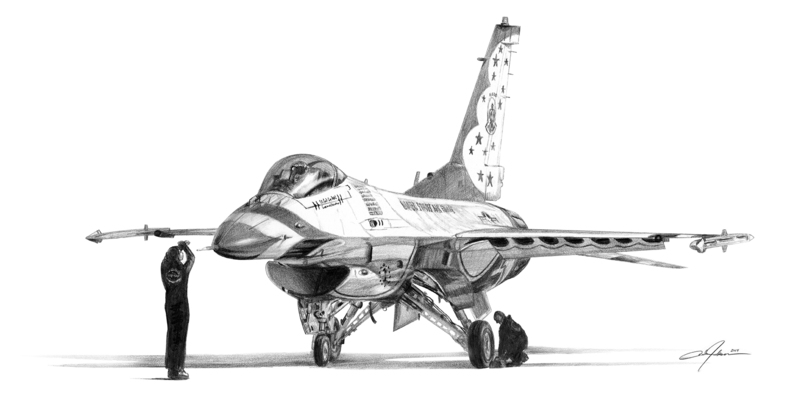 The Thunderbirds are assigned to the 57th Wing, and are based at Nellis AFB, Nevada.